In celebration of Black History Month, I’ll be celebrating black authors by sharing a book a day written by a black author and that has a black main character. Some of the authors I’ve read others are new to me and will be added to the ever growing TBR pile. With the turmoil that’s going on around the world and in the U.S. with our new President and administration banning Muslims from entering the country to the threat of deporting immigrants, I thought kicking off this month with a book about an illegal immigrant is àpropos. 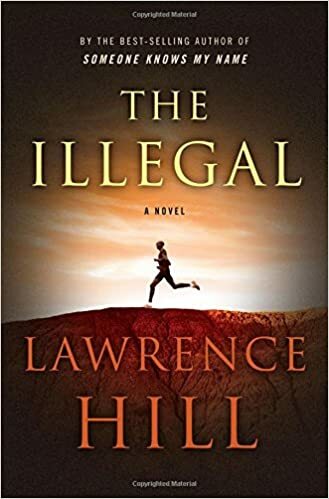 The Illegal is the gripping story of Keita Ali, a refugee―like the many in today’s headlines―compelled to leave his homeland. All Keita has ever wanted to do is to run. Running means respect and wealth at home. His native Zantoroland, a fictionalized country whose tyrants are eerily familiar. But after his journalist father is killed for his outspoken political views, Keita must flee to the wealthy nation of Freedom State―a country engaged in a crackdown on all undocumented people. There, Keita becomes a part of the new underground. He learns what it means to live as an illegal: surfacing to earn cash prizes by running local races and assessing whether the people he meets will be kind or turn him in. As the authorities seek to arrest Keita, he strives to elude capture. Oh wow, this one sounds good, I have to look it up. Great idea for the month! Thanks Laila! I’m looking forward to discovering new black authors as well as rediscovering some old favorites.